Rockets were fired late on Tuesday in the direction of the airport in Libya’s capital, residents said, forcing flights to be diverted, less than a week after the United Nations brokered a fragile truce between rival armed groups in Tripoli. A Libyan Airlines flight bound for Tripoli from Alexandria, Egypt, was diverted to Misrata, the airport said on its Facebook page. Misrata lies about 190 km (120 miles) east of Tripoli. 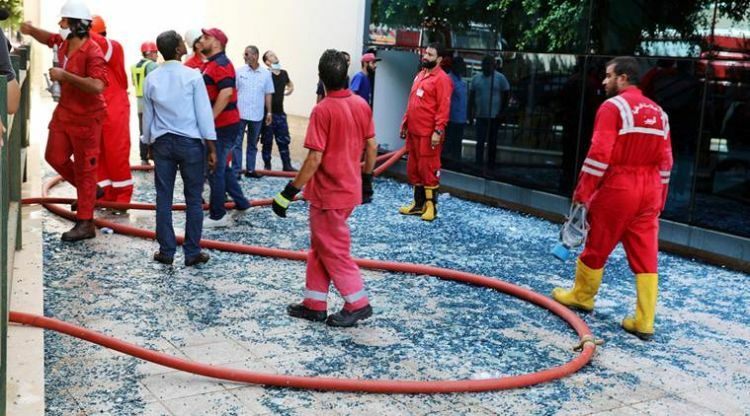 Separately, Islamic State claimed responsibility for a shooting attack on the headquarters of Libyan state oil company NOC in Tripoli, the jihadist group’s news agency said on Tuesday. It targeted the “economic interests of oppressing governments funding crusaders,” a statement carried on the militants’ Amaq news agency said. It was the first attack of its kind against the leadership of Libya’s state oil industry. Militants loyal to Islamic State have previously carried out attacks in Tripoli and other towns, despite having lost their stronghold in the central city of Sirte late in 2016. In May, Islamic State claimed a deadly attack on the national election commission offices in Tripoli.